The Nissan LEAF recently visited Portland, OR on the Nissan LEAF tour, and I was invited to check it out. 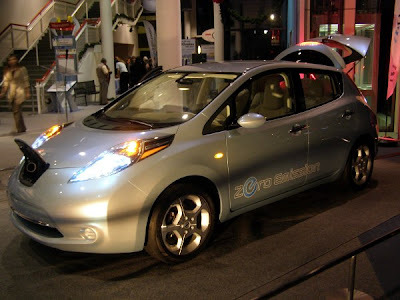 Be sure to check my article on ThePortlander.com regarding Nissan's all-electric car. The LEAF will play a prominent role in Portland's electric vehicle movement (the city is installing 2,500 charging stations), as well as several other major cities throughout the U.S. and Canada.